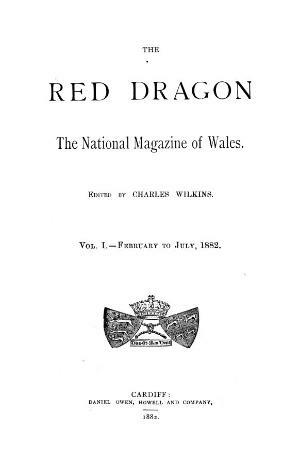 A monthly literary and general periodical that published articles on Welsh history, biographies and poetry. The periodical was edited by its founder, the historian Charles Wilkins (Catwg, 1831-1913) until June 1885 and subsequently by James Harris. Printed by Daniel Owen and Company, Cardiff. Associated titles: Chwedlau, being the Christmas number of The Red Dragon. Publisher Details: Daniel Owen, Howell and Co.